MRI is a radiographic study that provides a clear diagnostic picture without using harmful radiation. 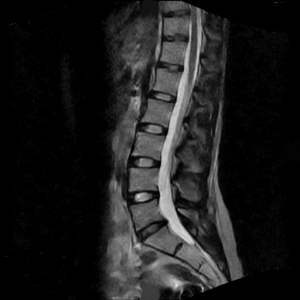 The MRI image gives enhanced views of the body part in question. An MRI scan of the spine, for example, provides a superior view of the discs in the back, as well as the nerves and other soft tissues. The doctor may use the MRI to correlate with a patient’s symptoms and physical exam. The greatest advantage of the MRI, is in its ability to allow the physician to see inside the body without theneed for surgery or potentially harmful radiation.